Welcome back for features and party day! I actually wasn't sure this party was going to happen today. I had a computer crash yesterday. But thankfully I have a very patient and persistent husband. He spent four long hours last night working out all the kinks - Thanks Dear! 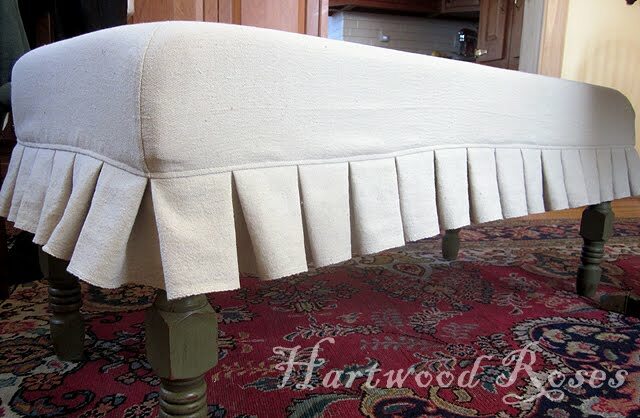 I am so in love with this slipcovered upholstered bench that Connie from Hartwood Roses created from an old coffee table. It is swoon worthy! 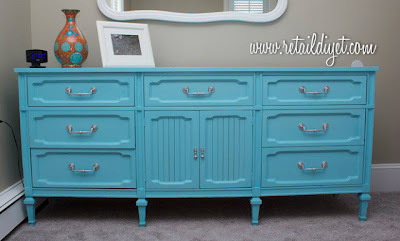 Retail DiYet shared this beautiful dresser aqua dresser that she painted for her sister. It's a beauty! 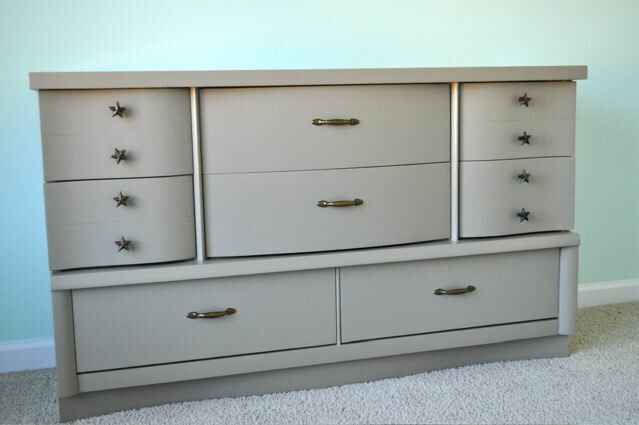 Check out the cute hardware on this sleek midcentury modern dresser from Social Salutations. Jennifer has a little one on the way. I can hardly wait to see this in the finished nursery! Aimee from Twigg Studios spray painted, yes spray painted, this leather chair. Amazing! Who knew that was even possible! 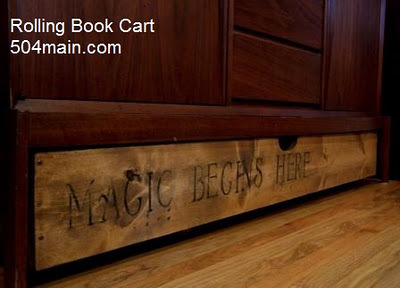 Holly from 504 Main was looking for more storage space for her growing book collection, so she built a rolling book cart that slides right under the buffet in her dining room. Genius! And she shares the nicely detailed tutorial too! Emily from The Diligent One calls this table makeover the most frustrating and rewarding project she's ever worked on. Isn't that the way it usually works? And the beautiful end result was most definitely worth the effort! The coffee sack covered chairs are pretty darn cute too! I am totally smitten with these fun and whimsical pillows from Katie at Craptastic! I'm definitely inspired to break out the sewing machine! Sarah from Alderberry Hill rescued a few sweaters from the donation pile and created these beautiful pillows. A perfect punch of red and white for Valentines Day! And I love the addition of the rosettes! And finally, a wonderful sweet treat for Valentine's Day. These Peanut Butter Hearts Chocolate Cookies from Jenn At Rook No. 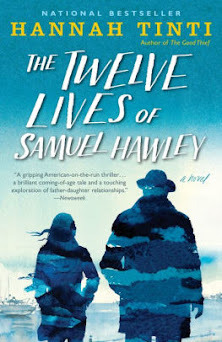 17 look pretty and delicious! Thanks again to everyone who linked up and linked back! If you've been featured, feel free to grab a cute little button from the sidebar! 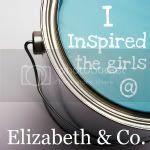 * Link up your furniture makeovers, DIY projects, crafts, recipes, thrifty finds, etc... We want to see whatever is inspiring you at the moment! * And please follow along with us! We'll be back next Tuesday with features and a brand new party. Great features!! I esp. love that spray painted chair. 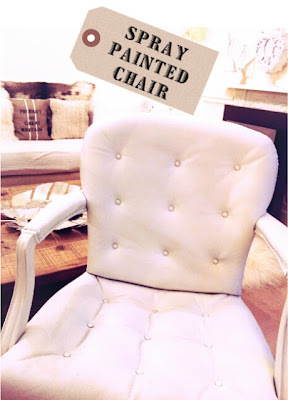 I have a leather chair I spray painted several years ago, it even was featured on Design Sponge. They didn't have Spray Paint for Vinyl and Leather then, but the Silver spray I used has held up. That chair is just gorgeous. Thanks for the party! thanks for hosting, Sharon! Great features!! Thanks for hosting (and thanks to your husband as well for getting the computer fixed). Thanks for hosting. Surely glad your DH fixed the computer problems. Thanks for that sweet lil note about my mailbox, it was fun to join your link-up! 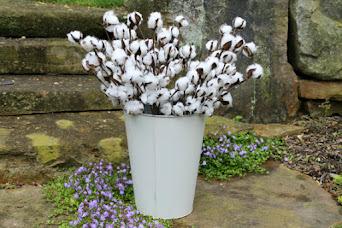 I linked something today that is quite a much bigger project than the mailbox! Hope you like! Great features today! Thanks for hosting the party! Now I'm off to visit with the others! Love all the furniture projects and the rest of the features!! Glad you got your computer fixed! Thanks for the feature Sharon, and thanks for hosting! Such great features!! Love the aqua dresser! Happy to hear your computer is working! Fabulous features! Love them all! Thanks for hosting another great party!! I'm a little late but I'm all linked up. 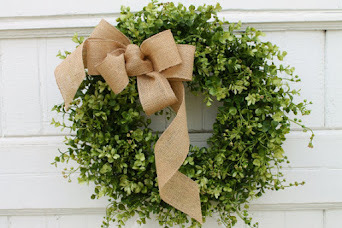 Thanks for hosting and stopping by my blog to invite me. I'll be back to visit some of the links...have a good week! Thanks for the feature. I am in such good company too - all amazing projects! Thanks! Just found your link party on Days of Chalk and Chocolate. I'll definitely be linking up on Tuesday! Can't wait! Cassie and Sarah at Wild Rose & Co.